The Campfire Spot 3 Messenger - What have we learned? I’ve had the chance to get off the bitumen a bit recently. Some of it in the name of product testing, and some in support of a charity. During both of these events, I decided to take a Spot Gen 3 tracker with me to see how it worked. When the Spot 3 arrives, you need to put batteries in it, and also register it online. You do this by connecting it to the computer, creating a logon, and then registering the device and purchasing a tracking subscription. You then set default messages for the check-in, tracking, help and the custom messages, and choose the track interval for the constant tracking mode. You can setup some fancier options using geofences if you wish. At this point, you also choose who the messages will be sent to, and can also choose to create a map and a weblink to share your location with others. I took the Spot3 down to the Vic High Country on my recent Drive To The Top trip, as well as out for some other product testing. I sent a few check-ins and messages, and I also left it to track until the battery ran out (it needs Lithium or rechargeable batteries). The Spot 3 was pretty reliable in tracking my location every 10 minutes, which is great if you want to share progress, and to be honest, I probably didn’t need to use that mode – a few check-ins when I stopped would have been fine. The batteries lasted pretty well, tracking every 10 minutes all day before they died. The one thing that I did find though, was that if you turned the unit off, it wouldn’t turn back on. I’m pretty sure this has to do with the nature of rechargeable batteries. If I’m not mistaken (and please correct me if I am! ), rechargeable batteries will experience a sharper drop in voltage early while using them than Alkaline batteries, but after that deliver a consistent output. So the thing runs for a long time. However, I don’t think it will turn back on because of the juice required to start the thing vs that to keep it running. Anyhow, I overcame this by having spare batteries ready to go and then charging on the go with a USB battery charger. The custom message was a cool idea, but it can’t be changed on the move (it needs internet and a laptop), so its something you’d need to plan ahead with to make useful. From an emergency point of view, I’m confident that this thing would do the job, and really that is what you are paying the money for. The Spot 3 is available in our Safety Shop. It retails for $239.00, but if you register as a member of the Safety Shop, you’ll save 5%. And if you are a Club 4X4 policyholder, you’ll save 20%. In addition to the unit, you are up for an annual subscription to the tracking service, which costs US $199 per year. For anyone that has a Spot 3, have you found the battery life on rechargeables is similar? I have always used lithiums (as recommended) in mine and will last 6-7 weeks tracking around 8 hours a day and a checkin message every night. 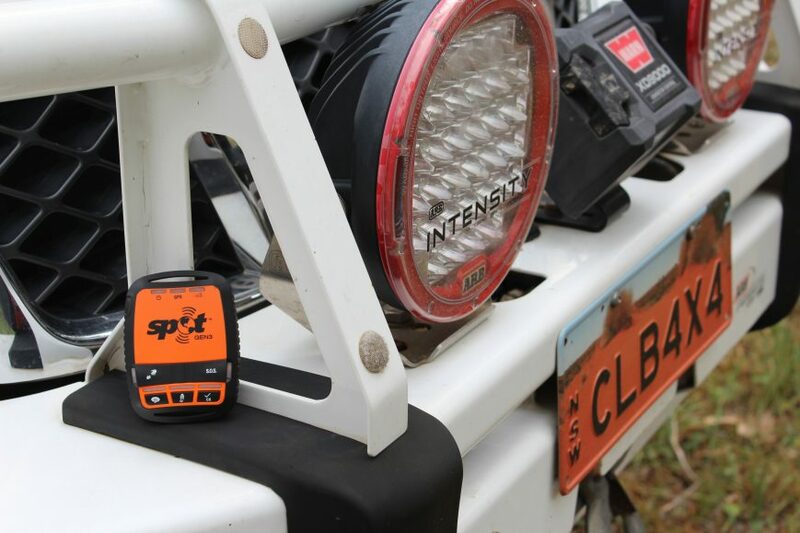 I have used a Spot 3 on many off-road motorcycle rides across Australia. Over the last couple of years The info in the article is not correct regarding battery life. If you use good quality alkaline or lithium batteries you will get at least (2-3) weeks at 10 hours 10 min interval logging. I wonder what Aiden means by the tracking “was pretty reliable “ I have used a spot 3 extensively and it has been very reliable. Fair point – the only frustration was that once I turned the unit off, it wouldn’t start again unless I replaced the rechargeable batteries. Tracking was great. I have used a Spot 3 for the last 5 years and have found it very reliable. I also use rechargeable Energisers and have never experienced a problem. I only turn mine on at the end of the day to check in with the loved ones and the battery lasts the full 3 weeks. I do take another 2 spare sets just in case but have only needed them once. Yes, it is a bit expensive to renew every year but the SOS – which, touch wood, I’ve never had to use, is why you buy one ultimately.